^ ا ب "Druze Religion"۔ International Fellowship of Christians and Jews. 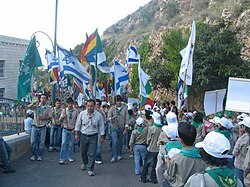 http://www.ifcj.org/learn/inside-israel/people-society/religions-of-israel/druze-religion.html. ↑ Harris, Stephen L.، Understanding the Bible۔ Palo Alto: Mayfield. 1985. 2 Arameans are officially recognized by Israel since اکتوبر 2014.